Cola With Ice Cubes And Bubbles In Glass On Lilac Background. Lizenzfreie Fotos, Bilder Und Stock Fotografie. Image 106385660. Standard-Bild - Cola with ice cubes and bubbles in glass on lilac background. 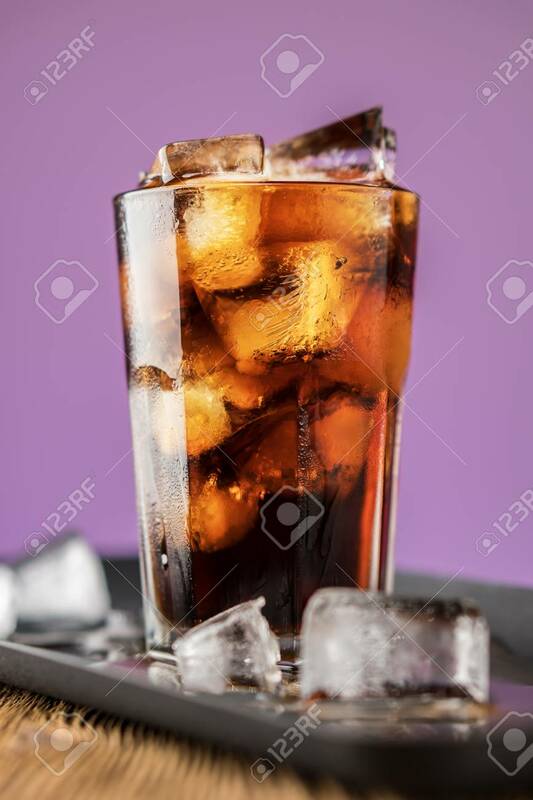 Cola with ice cubes and bubbles in glass on lilac background.